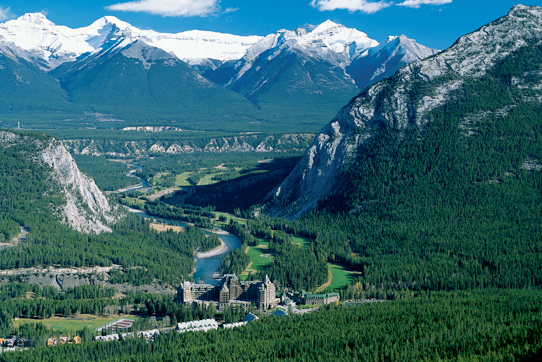 Renowned for its panoramic beauty, The Fairmont Banff Springs Golf Course is situated in Banff National Park, a mile high in the Canadian Rockies. With breathtaking views in every direction, it is a captivating and challenging course. 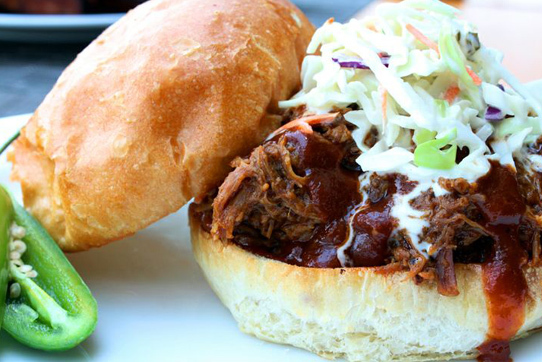 Amateurs and professionals alike are constantly amazed by its sense of difficulty. The optical illusions created by the mountains towering overhead may deceive the eye of even the most skilled player. Designed by world-renowned golf architect Stanley Thompson in 1928, the original 18-hole course was later complemented by the construction of an adjoining 9 holes, designed by Cornish and Robinson and opened in 1989; thereby completing this championship layout. 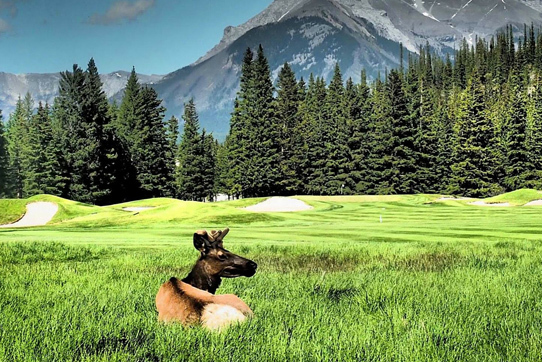 The course features a driving range, a complete short game practice facility and the Fairmont Banff Springs Golf Academy, which offers a wide range of instructional programs. Holes gently roll along the Bow River under the snow-capped peaks of Sulphur Mountain, Mount Rundle and Tunnel Mountain. Greens range from expansive and rolling to small and flat. The course may be walked, however, due to its length, many choose to use electric carts which are included in the green fee. Transportation between the clubhouse and the hotel is made easy with a shuttle that runs continuously between the two locations. A Thrilling Layout. Breathtaking Views. From the actual hole design to the optical illusions created by the surrounding mountains, this Alberta golf course will delight and tempt you. The Audubon Cooperative Sanctuary Program is an award-winning education and certification program that works to protect the environment and preserve the natural heritage of the game.